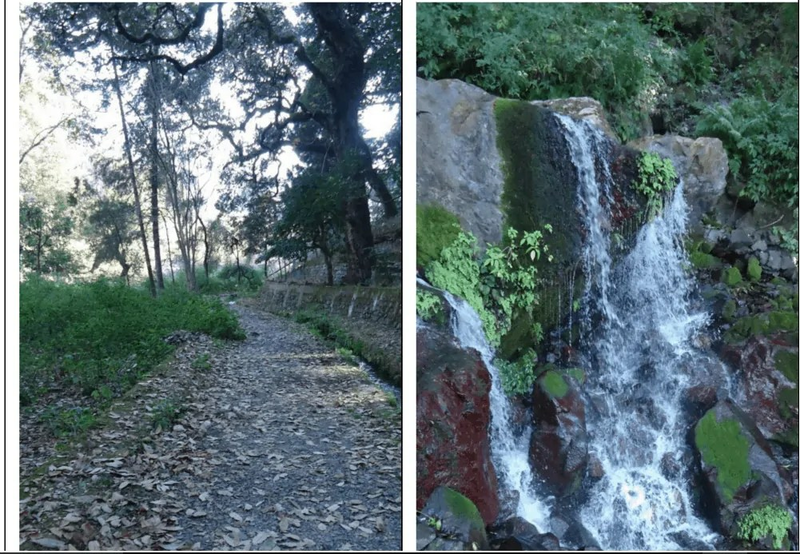 Sattal – We visited Sattal on 24th December, a time of chilling winter in North India. It wasn’t extremely cold there, so we able to enjoy the weather rather than just shivering in the cold. 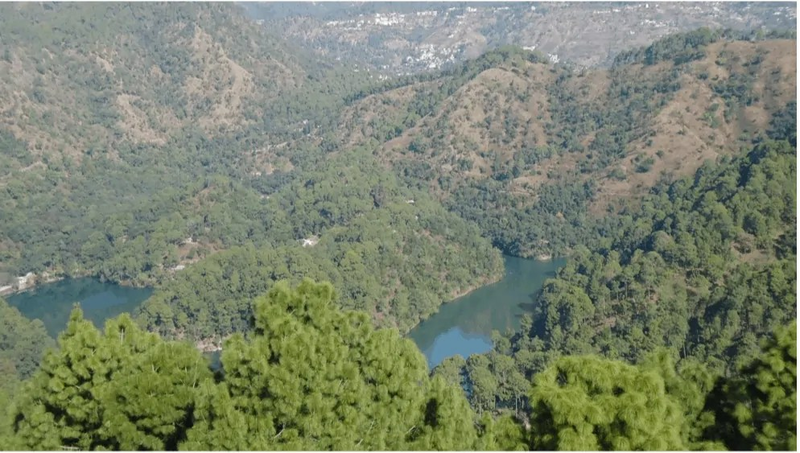 It’s a beautiful location surrounded by seven lakes, that’s why named as Sattal. The weather remains good but doesn’t get any snowfall. We chose V Resorts to stay with. It was perhaps the best decision of the trip. They truly made the trip unforgettable for us. At first glance, we find it just another holiday resort, but there was much more to it. After reaching the resort, we were greeted by a very humble staff of theirs, they lead us to our room, from where we could see the breathtaking view. The room had many windows and a small balcony with sitting area. We could see the mystifying beauty of Sattal from there. Apart from the beautiful views, the USP of this resort is its generous and humble staff. The hospitality that we got from Mr Tyagi (manager of the resort) is remarkable. He seems to make a personal investment of his efforts in making the guests happy. it was a buffet breakfast, yet they managed to bring all the menu items to our table that too in the garden instead of a restaurant. After the breakfast, one of the staff people, Dheeraj, accompanied us to the waterfall and lakes of Sattal. He told us about the location and activities. We didn’t feel that he was just doing his job, we felt as if we were going with a friend who wants us to enjoy the trip and was making every effort for it. The lake was not very far away from the resort, but because of the difficult trek, we were driven by their jipsey to the destination. There are total 7 lakes there and they are collectively called as Sattal and they all are majestically beautiful. You can do boating and kayaking there. Also, the charges are very nominal, about Rs 220. From the lake, we started walking towards the waterfall. We just loved the path, so silent and serene. Fallen leaves filled the pavement and chirping of birds filled the air. Nature lovers sit there for hours for bird watching. We saw the beautiful kingfisher bird on the way. To see more beauty, you have to be more patient. People wait there very patiently for hours to see different varieties of birds. After walking for 10-15 minutes, we reached the waterfall. We sat there and enjoyed its sound for a long and moved back to the resort. We had lunch at the resort, and it was more like home cooked food. So you need not worry about having restaurant food for a few days. In the evening, they arranged a bonfire and music. Over very casual talk with Mr Tyagi, we discussed activities available for the next day. Other than Paragliding, most of the activities like karaoke and bonfire were group activities. Then, he suggested that, since we might not enjoy these activities, he could arrange a candlelight dinner for us. It was totally unexpected and unplanned, and we were very much excited about it. And when he actually arranged it, there were no words for it except beautiful. We were amazed by seeing the level of their efforts and humbleness when we came to know that this is the first time they have done something like this for a guest. 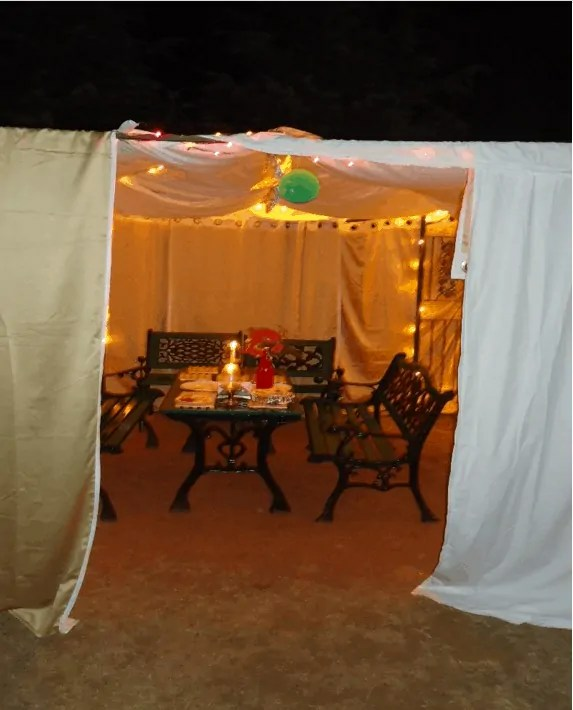 They arranged the dinner in the garden with small lights and soft music. We cannot thank enough Mr Tyagi for doing this and making the trip unforgettable for us. Next day, we moved to the much-awaited activity for us- The Paragliding. It’s a goose bump experience. We were moved to the flying station by V Resort’s vehicle. We waited there for about one hour, after this we were moved to the flying location. Again, we waited there for one hour. This wait was worthwhile and thrilling. Seeing the people flying, was very exciting for us. Then came my turn. Just one word to it – wow. I was not at all scared in the beginning because a pilot accompanies you, who actually flies the glider. When I was standing on the edge, ready to take the flight, I was literally shaking. Once I was in the air, it was so amazing that I felt no fear. I was just enjoying that feeling of flying like a free bird. That thumping of air on the face and the view from such a height is worth giving a try. Paragliding in Sattal and Bhimtal would cost you around 1500 rs. If you opt for videography, you need to pay 500 rs extra. Mr Tyagi for being so humble and nice towards the guests. Dheeraj, for being generous and helpful every time we took a ride with you. Rest of staff, to always greet and serving us with a smile. 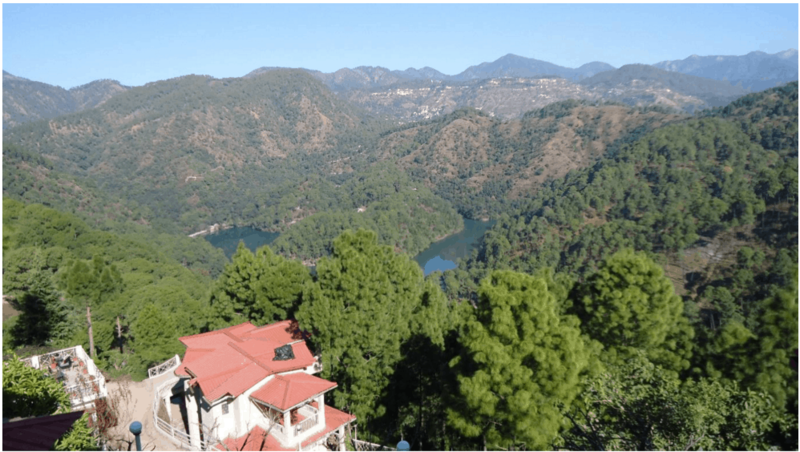 So if you are finding a serene and offbeat destination, go to Sattal and if you are going to Sattal stay with V Resorts. 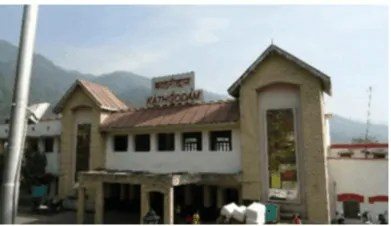 By Train: Nearest railway station is Kathgodam. The distance from Delhi is about 250 km. Shatabdi express and Ranikhet express are two good options available to reach there. By Flight: Nearest Airport is Kathgodam. By Bus: You may reach Kathgodam by UTC buses or by private buses. The better option is to go with UTC Volvo’s. By Road: It’s an easy drive from Delhi to Haldwani and Kathgodam. But, you should only opt for it if can drive in hilly areas since after this all the paths are hilly. By Taxi: From Kathgodam or Haldwani, you can easily get a taxi. If opting for a taxi, you should ask resort staff to arrange it for you. They arrange it on a reasonable price and it’s better and safe, rather than bargaining with local taxi drivers. By local Transport: V Resorts arrange to pick up by their vehicle from local points. So, you can take a local bus from Haldwani to reach a nearby point. You should stay in touch with the resort about it. They would tell you the exact location where you should reach. They would send their vehicle there for pick up. If you are travelling in the odd hours like very early morning, then you should opt for taxi only. Paragliding: you must experience this. The best thing to do in Sattal is to do nothing. Just sit and relax in the lap of nature at this offbeat destination. So, go for it. Plan a trip and share your experience.